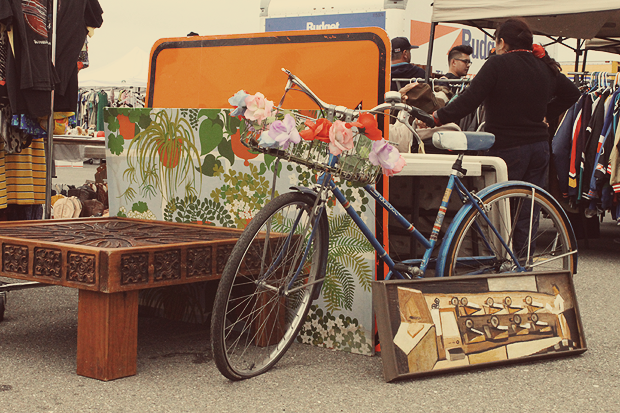 Moth Speaker: Alameda Flea Market! Hey! 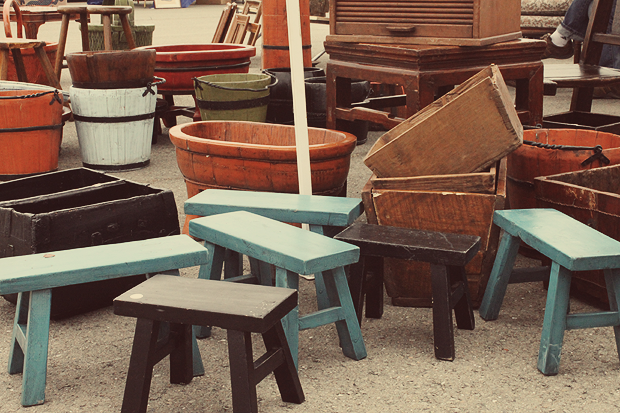 So today my mom and I went to the monthly Alameda Flea Market. It was a great day! 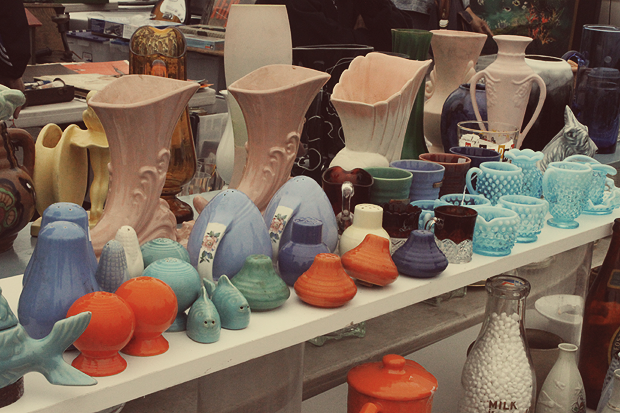 It's so fun wandering the booths and trying to find deals. :) And we sure did this time. I've been only twice before, and every time seems like a different experience. But each enjoyable! And there is so much inspiration to be found there, as well. Wonderfully stylish people, and unique, interesting items to browse through. Love it. I wore a more casual look today as I wanted to be warm and comfortable while shopping. It turned out to be a good choice to wear pants because it didn't really warm up till around 2ish, and we were there since 10 in the morning! Luckily I was fine with just a thin cardigan otherwise. You always look so fantastic. 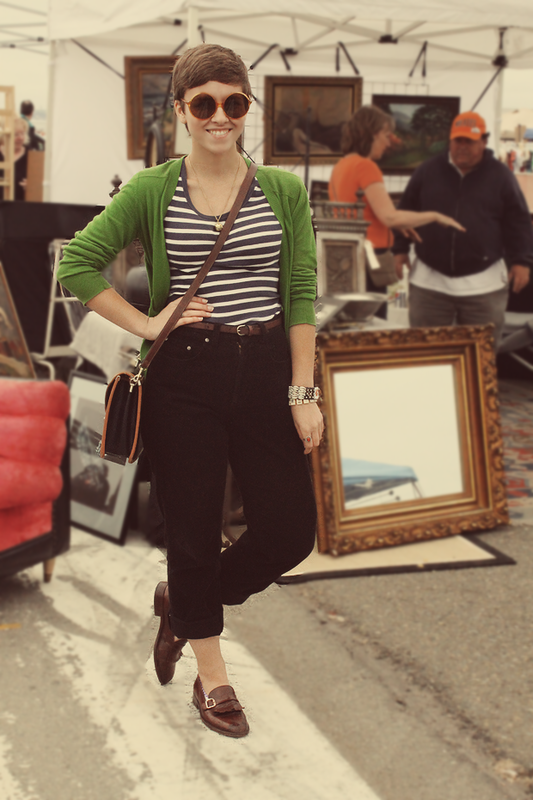 The highwaisted pants are too perfect! Man I really need to find me sone fun markets like this to check out. Tons of pretty things!! I can't believe you're evening thinking about staying warm! It's sooo hot here. Like anywhere between 35-45. But I am adoring what you are wearing. It's getting me excited for Fall! What a really well put together outfit!!! incredible. You look so cute, I love your shoes. I want a pair of loafers. 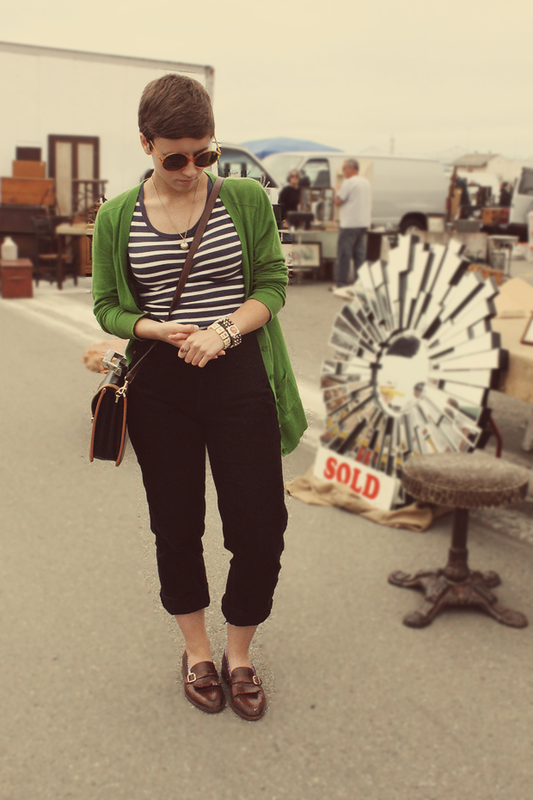 The flea market sounds like a win, that's awesome you got so many neat things. Also, you and your mom look adorable together! two dresses for $10 is a great find. i am jealous. 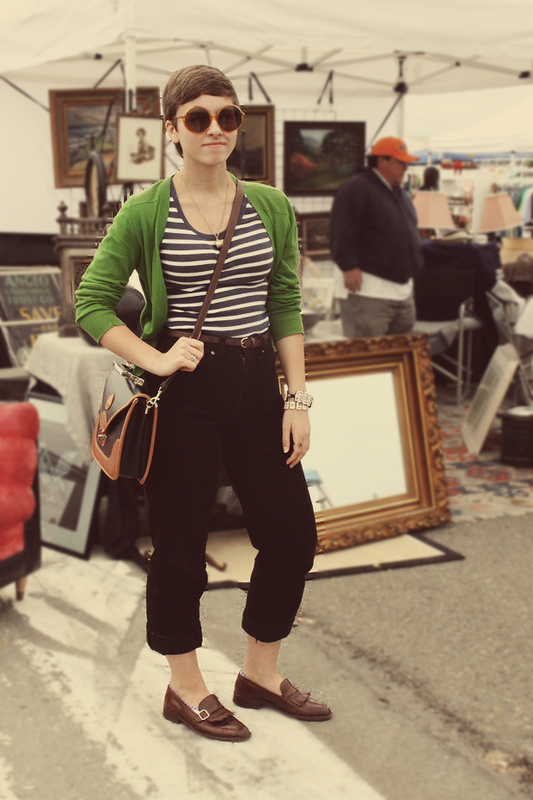 love this casual look..that green in your cardigan is beautiful. Ohhhhh. That place looks amazing! and I love your sunnies! Ohhhhh! That place looks amazing! and I love your sunnies. Don't usually tend to wear green myself but it looks great on you. I'm in love with your loafers. 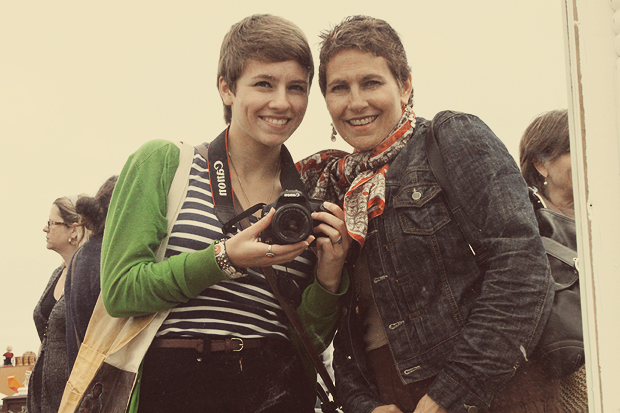 And the fact that your mom and you share the same hair cut (just like me and my mom!). Yey for pixie cuts! ps. You are totes an honorary member of my book club. In fact, I may have to find a way for bloggers to join in the fun... oh exciting plans in the making! I cant wait to see your dresses! 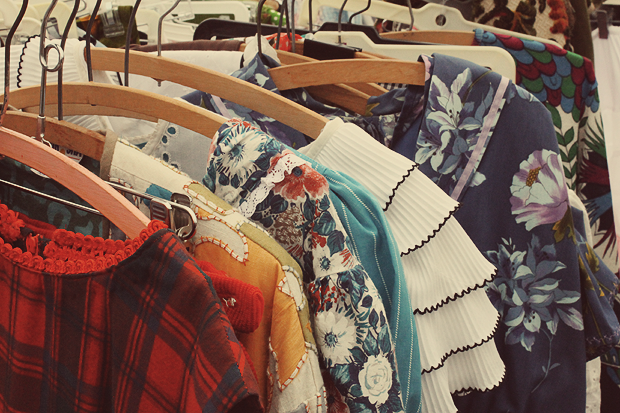 Love flea markets. . . . we call them car boot sales in the uk, and despite the fact of having to get there ridiculously early its always so much fun! omg, I LOVE your sunglasses! I want them so desperately! And I do agree with Maggie! I usually don't post outfit pictures that very often because my regular outfits consist of jeans and a shirt (BLERGH), but you always look great! I love that so much about your style and about you :) I hope you had a great time with Nat! 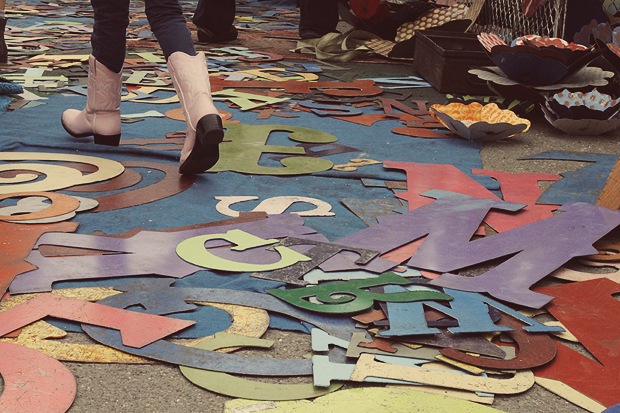 And I love the picture of the floor with all those letters. even casual you manage to put something so terrific together. love the pants and I am obsessed with your footwear and those glasses are very cool. can't wait to see them.